Integrity by Marvin vs. Infinity by Marvin: What are the differences? This is a comparison you don’t generally see because both window lines are manufactured by the same company, Marvin Windows. There are, however, some notable differences between the two lines. The most notable difference was the theory behind how these two window lines were developed. The Infinity by Marvin was initially developed for the replacement segment of the market and is still marketed that way today. The Integrity by Marvin was originally produced for the new construction segment, however, it has been updated to now include options for the replacement segment, such as an insert replacement double hung window. As we compare these two product lines, let's start with their similarities. Both Integrity by Marvin and Infinity by Marvin are made of Ultrex Fiberglass, a pultruded fiberglass pioneered from the Marvin Company. The Ultrex fiberglass is known for its strength, stability and low-maintenance. For all of the testing reports and specifications regarding the Ultrex, visit http://www.marvin.com/integrity/features/ultrex-fiberglass or http://www.marvin.com/infinity/features/ultrex-fiberglass?menu=strength. Let’s look more closely at the Integrity Window. Integrity offers two options in the fiberglass line. The first option is the Wood-Ultrex, which offers a fiberglass exterior and a true wood interior. The Wood-Ultrex window is available in six exterior colors and the pine interior is available unfinished or in factory painted white. The second option is the All Ultrex window. This window is all fiberglass. It is also available in six exterior colors, however, the interior is only available as Stone White. The Infinity Window offers six exterior colors and two pre-finished interiors, or a faux wood interior called Everwood. The Everwood is a stainable woodgrain option. Both product lines have the most popular exterior color selections including Stone White, Cashmere, Pebble Gray and Bronze. Where they differ is Integrity offers Evergreen & Ebony, while Infinity offers Bahama Brown and Sierra. Although both product lines differ slightly with their interior options (Wood-Ultrex by Integrity being a true pine interior and the Infinity being a faux wood interior), neither product line offers a factory stain option. One similarity between the Integrity Wood-Ultrex windows and the Infinity windows is that they have a traditional beveled edge appearance around the glass on the exterior of the window. The Integrity All Ultrex product has more of a contemporary design in that the edges have a more square, streamlined appearance. When it comes to details such as hardware finishes and glass options, Infinity by Marvin definitely has a better selection. Infinity by Marvin offers eight different hardware finishes and several decorative glass options such as Rain, Reeded or Frost, just to name a few. On the other hand, Integrity by Marvin only offers five hardware finishes and no decorative glass besides the standard obscure. 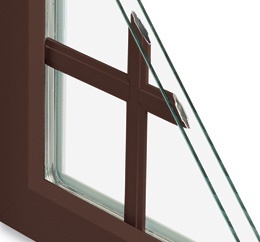 It might seem odd that the Infinity product has more options and selections, but when these two product lines were developed, the Infinity product line was developed for homeowners who were replacing their windows. Time frame was not a big concern. The Integrity product was developed for Contractors or Builders who needed product quickly. With this in mind, when they first developed the Integrity product line they wanted to streamline the process so they could provide the products to the trade in a timely fashion. One way to accomplish that goal was to limit options. Well, that process has stuck and the Integrity product ships custom ordered products within 10 days of order placement. One other big difference between Integrity and Infinity products is the warranty. Infinity windows come with a Limited Lifetime Warranty to the original purchaser of the windows. The warranty is transferrable to new owners if the original purchasers should decide to move. Then, however, it becomes a 10/20 (20 year glass failure and 10 years exterior and hardware) warranty from whatever time is left on the initial warranty. 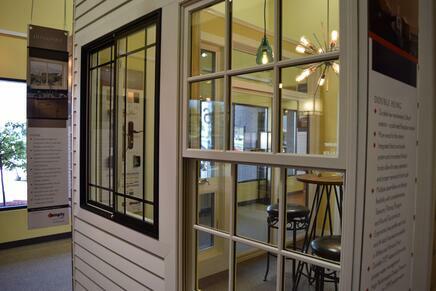 Integrity windows come with the 10/20 warranty and is fully transferrable. 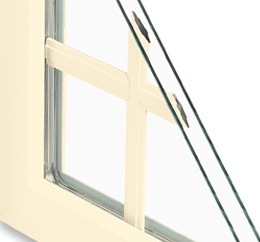 Generally, the Infinity Window comes with a slightly higher price tag than the Integrity Window. But, as with anything else, the options and features you select will ultimately affect the price tag of your new windows. Although these windows are both made by Marvin, there are definitely some pros and cons to both depending on what your needs and wants are. For more information or details, contact your local dealer. Where Are All the Qualified Window and Door Installers?